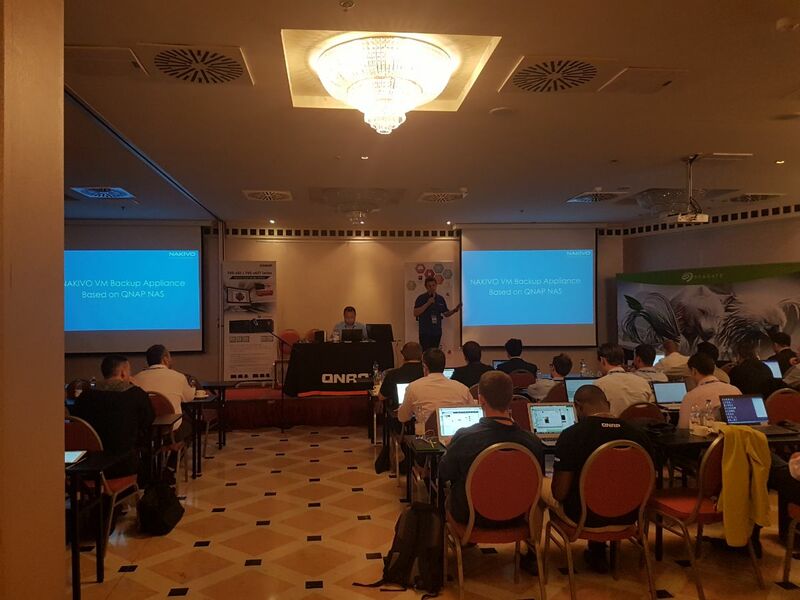 On September 27-29th, QNAP Systems, Inc. – a leading producer of Network Attached Storage (NAS) servers and provider of network surveillance systems – held its annual Partner Day in Budapest, Hungary. 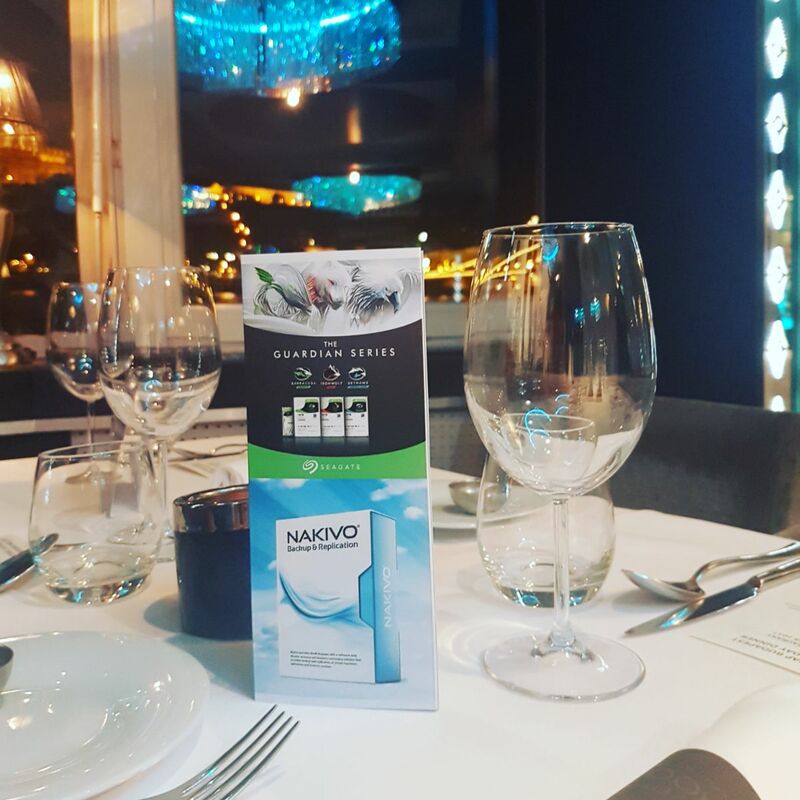 NAKIVO was among the long-term partners invited to the event, and we would like to share our impressions from this get-together with you. The atmosphere at the event was friendly and supportive. During the first two days of the meeting, each partner presented their company and product and answered all types of questions asked afterwards. 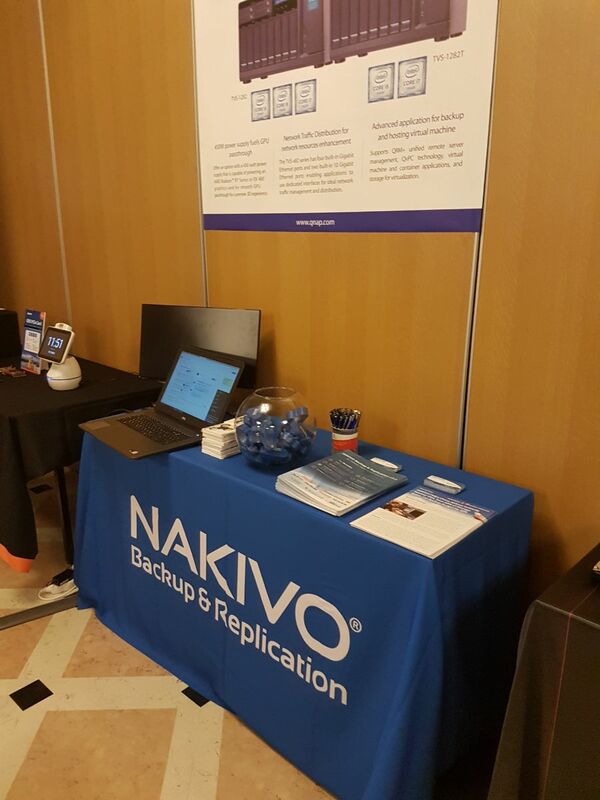 We also delivered a presentation about NAKIVO Backup & Replication and its outstanding set of data protection features for VMware, Hyper-V, and AWS EC2 environments. In the speech, we laid special emphasis on the possibility to get a high-performance and cost-effective VM backup appliance by installing NAKIVO Backup & Replication directly on a QNAP NAS. The VM backup appliance resulting from the fusion of these two high-end solutions is an all-in-one device that combines backup software, hardware, storage, and data deduplication in a single box. Using the appliance is a great way to separate important VM backups from the rest of the infrastructure and, thus, free up available resources and quickly restore data in case some of the VMware or Hyper-V servers are down. 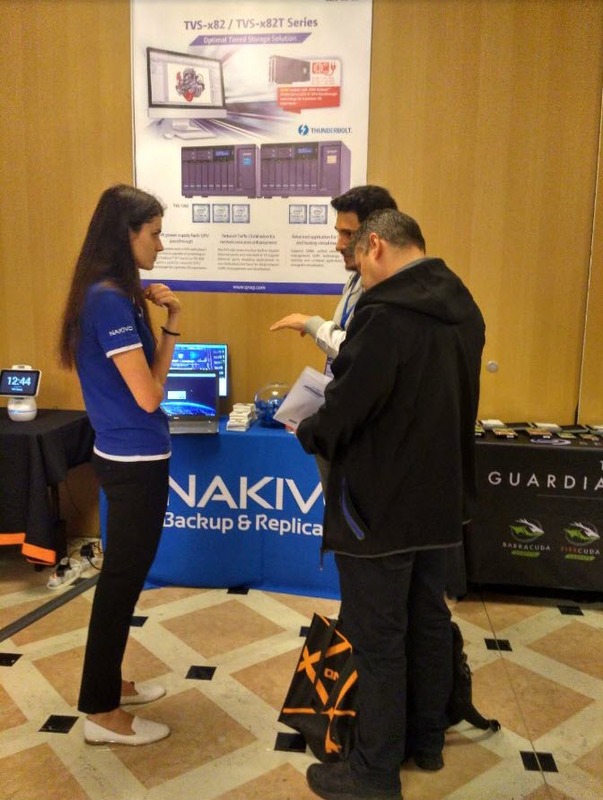 NAKIVO Backup & Replication also helps increase VM backup leveraging forever-incremental backups with CBT/RCT technologies, LAN-free Data Transfer, Network Acceleration, and writing VM backups directly to NAS disks, bypassing the overhead of NFS and CIFS network protocols. Owing to other great features, such as Skip Swap Files and Partitions, Data Deduplication, and Compression, the product saves a large amount of storage space occupied by VM backups on the NAS server. The Partner Day provided us with a perfect platform to communicate with other QNAP partners, share our ideas and experience in protecting virtual data, and discuss current industry trends. 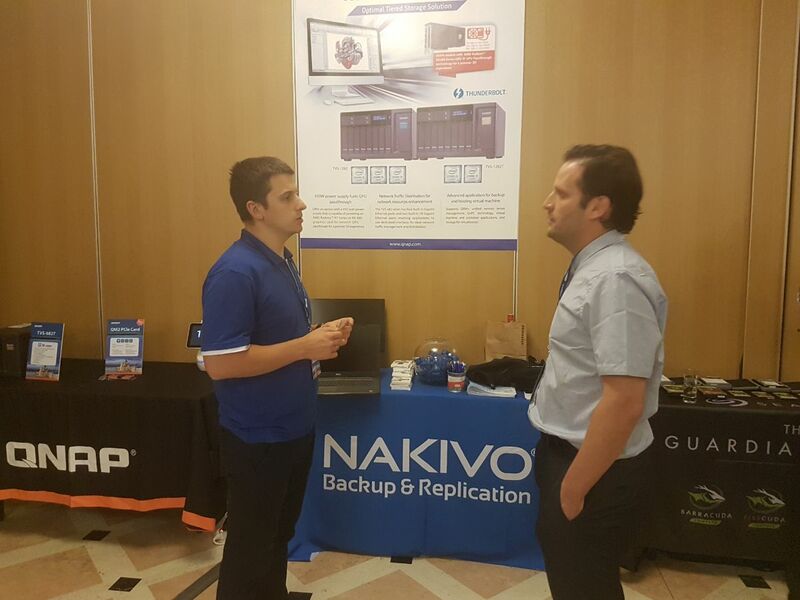 We were happy that so many people present at the event were highly interested in NAKIVO Backup & Replication and its features and approached us being eager to get more information about the product and its competitive advantage. QNAP was a wonderful host and managed to make the meeting days unforgettable. Apart from partner presentations, we were also able to learn about the QNAP first-hand insider news, plans, and developments. Two awesome working days were followed by a party and entertainment activities. We would like to express our sincere gratitude to QNAP and organizers of the 2017 Partner Day for the invitation and hope for the development of our mutually beneficial cooperation.